As online gaming and especially playing online rummy is blooming in India, it is better to analyze the different websites that are hosting them. Each online rummy website is special in its own way by the way they treat their players. 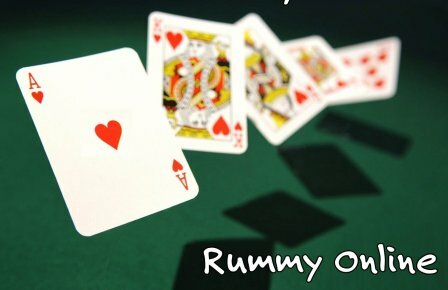 We thought to write this article considering how hard it is to find the best online rummy website nowadays. How we selected best online rummy websites? While selecting an online rummy website, the first thing we consider is the way they secure the transactions. Most of the websites now adds it in a top priority list and focus on delivering it too. Websites like Ace2Three, RummyCircle, Junglee Rummy etc. have excellent payment options that are secure both while depositing and withdrawing. The second thing is to note while selecting an online rummy website is the promotions they offer. Promotions let the players win some extra cash while playing rummy on cash tables. The better the website, the higher will be the number of players on each promotional tournaments. The reason is that players like a website because of the amount they can win on promotions. Big named websites like Junglee Rummy and Ace2Three are the best online rummy websites according to us in giving away huge rewards on promotions. The user interface and user experience plays a vital role in a player’s mind while he selects an online rummy website. The easiness to play and other features like avatars, chat etc. adds those extra points for the website. The 3D interface is the next big thing a player and also we look into while playing online rummy. When a customer hasn’t played for long due to his busy schedule, some websites opt to call or mail him to come back to website to play rummy. This procedure to support the customers and to know if they are not playing because of any issues is the best acquisition strategy. So the top 5 ranks after our analysis on online rummy websites is like this. Junglee Rummy holds the first spot followed by Ace2Three, Rummy Circle, Adda52 and Classic Rummy. All of these sites are best but the gameplay easiness and exclusive promotions gave extra points to Junglee Rummy.